Home » Health » Beware Of Coconut Oil Is Not Healthy. The American Heart Association recently released a report advising against the use of coconut oil. The Dietary Fats and Cardiovascular Disease advisory reviewed existing data on saturated fat, showing coconut oil increased LDL ("bad") cholesterol in seven out of seven controlled trials. Researchers didn't see a difference between coconut oil and other oils high in saturated fat, like butter, beef fat and palm oil. In fact, 82% of the fat in coconut oil is saturated, according to the data — far beyond butter (63%), beef fat (50%) and pork lard (39%). 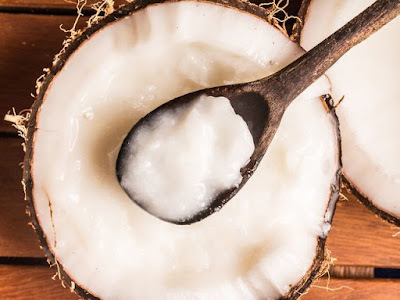 "Because coconut oil increases LDL cholesterol, a cause of CVD [cardiovascular disease], and has no known offsetting favorable effects, we advise against the use of coconut oil," the American Heart Association said in theDietary Fats and Cardiovascular Disease advisory. Frank Sacks, lead author on the report, said he has no idea why people think coconut oil is healthy. It's almost 100% fat. Past weight loss studies might be responsible. The problem is St-Onge's research used a "designer oil" packed with 100% MCTs. Traditional coconut oil only contains about 13 to 15%. Another study she published showed smaller doses of MCTs doesn't help with weight loss in overweight adolescents. The AHA recommends eating no more than 6% of saturated fat as part of total daily calories for those who need lower cholesterol. Before you trash your coconut oil, know that saturated fat is a loaded term. While the AHA warns against it, people who cut saturated fat out of their diet might not necessarily lower their heart disease risk, a 2015 BMJ review suggested. That's because some people fill the void with sugar, white flour and empty calories. Also, some fat is important to help bodies absorb nutrients from other foods. Many have said butter has gotten a bad reputation. Still, it might not be a bad idea to opt for vegetable oils or olive oil, Stacks said. Plus, coconut oil can still be an effective moisturizer or hair conditioner. "You can put it on your body, but don’t put it in your body," Sacks said.